Best video games 2014: Rusty’s Real Deal Baseball and Shadow of Mordor. Entry 3: This weird game about a sad-sack dog whose wife left him is my favorite game of the year. For me, this was a year of questioning what I play and why I play it. The silly Web game Cookie Clicker helped open my eyes to this. It’s little more than a virtual cookie that you click on—to make more cookies. You can buy virtual items that automate the baking of millions more cookies, but even then you’re just clicking and waiting … clicking some more … waiting … clicking. It’s as compelling and hard to stop playing as it is revelatory about how vacuous so many games are (try it if you dare). It exposes how little “play” there is to many games we play because, really, you could shave the story off of many games and find that the actual game left behind is little more than another Cookie Clicker. I played enough Cookie Clicker to be suspicious of my intense enjoyment these past few months of Diablo III on my PS4. Diablo III is, on one level, just another game about tapping buttons to trigger rewards. I pushed a Level 1 Demon Hunter to Level 70 this year, and I assure you he looked much cooler every 10 levels or so! And, yet, what was it all for? Diablo III has a storyline, of course, and it’s about as edifying as Cookie Clicker’s. You can play a game like Diablo the way some people play golf: just as a reason to chat. You can play it with others as a way to tackle difficult tasks—or, in this case, monsters—as a group. You can eventually master the mathematics behind the game and set your character up with just the right set of powers and weapons, treating Diablo as an exercise in skillful optimization. I imagine it’s a bit like tuning different parts of a racecar to make it go faster. The game Shadow of Mordor—the Lord of the Rings spinoff featuring you as a swordsman in a land full of murderous orcs—felt more satisfying. It too has a forgettable story. And, to an extent, it too is a game about pressing buttons in order to see cool things happen and to unlock the ability to make more cool things happen. What’s special, though, is the game’s nemesis system, which networks many of the bad guy orcs that roam through the game’s world into a military hierarchy. Yes, this Gaming Innovation of the Year is a bad-guy org-chart! It’s great, though, because some random enemy who defeats you in battle will rise through the ranks because he vanquished you. He’ll remember you—as much as a computer-controlled character can. He’ll have scars from your last encounter. He’ll challenge other orcs. He’ll hunt you down for more glory and be promoted again. He’ll grow to be your nemesis. You can meddle with his progress. You can set other orcs against your nemesis or you can hunt him down. It helps the game feel less like a Skinner box to peck at for rewards. I think that’s why so many gamers found it refreshing. That said, my favorite game of the year was Rusty’s Real Deal Baseball, a borderline-insane game from Nintendo about a sad-sack baseball-loving dog whose wife has left him. 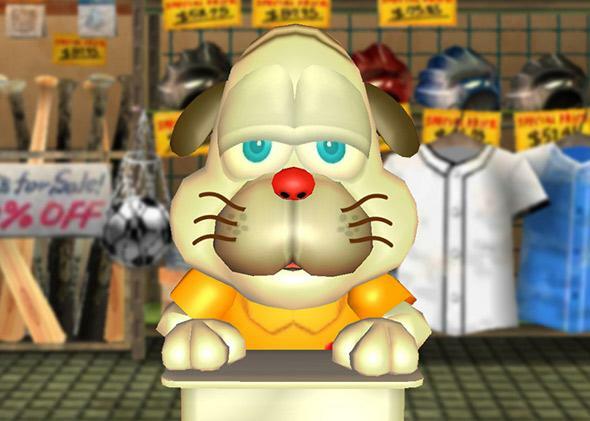 He sells you a series of baseball-themed mini-games that you can play within the overall RRDB video game. He sells them to you for real money, but you can haggle with the virtual dog to lower their prices. The better you play, the cheaper the entire game is. So great Nintendo gameplay mixes with unexpected meta-commentary about the psychological tricks used to sell many modern “free to play” games. So, yeah, games are great at being wonderfully weird, and I’m still a sucker for that. I try to play as many games as I can every year, which makes me a grazer who samples a lot but lingers with very few. In a given year, I play a hundred or so games on consoles, computers, phones, and tablets, and “finish” two or three dozen. I don’t revisit games all that often, either. The month I start playing a game is usually the month I stop playing a game. Play a game. Move on to the next one. I have a lot of fun, and I play a lot of games that interest me, but I usually feel that I’m missing something important. I am. I never make the time to commit deeply to multiplayer games and so I feel like I’m missing the purest forms of gaming. I envy those who dive into those games, who basically pick a Counter-Strike, Halo, Street Fighter, or League of Legends, and play it deeply enough to master it. For them, video gaming is their poker, their chess, or their basketball: a set of rules that they adhere to and sometimes bend while competing with other people. For them, a game contains a finite number of things—cards, balls, plasma grenades, fireball—and playing it is to experience the joy or pain that comes from the infinite permutations of what can happen with those things. I’m not trying to bring you guys down or to dismiss the excellence of games already mentioned by Chris or Laura. But I am pushing back a bit against our comfort with lauding games that are interactive stories, adventures we consume and then are done with. I’m skeptical even of my love of video games as vehicles for role-play, much as I cherish my annual chance to tour history through new Assassin’s Creed games. I sense that I spend too much time with each of gaming’s new rollercoasters, enjoying the thrills prepared for me, and not enough time sticking with one or two of gaming’s open-ended playgrounds. I now have the wonderful pleasure of handing this conversation off to the voice actor behind my 2012 game of the year. Jenn, am I crazy for being so envious of people who get neck-deep in multiplayer games? Are we just snooty critics when we’re lauding games with moving stories?